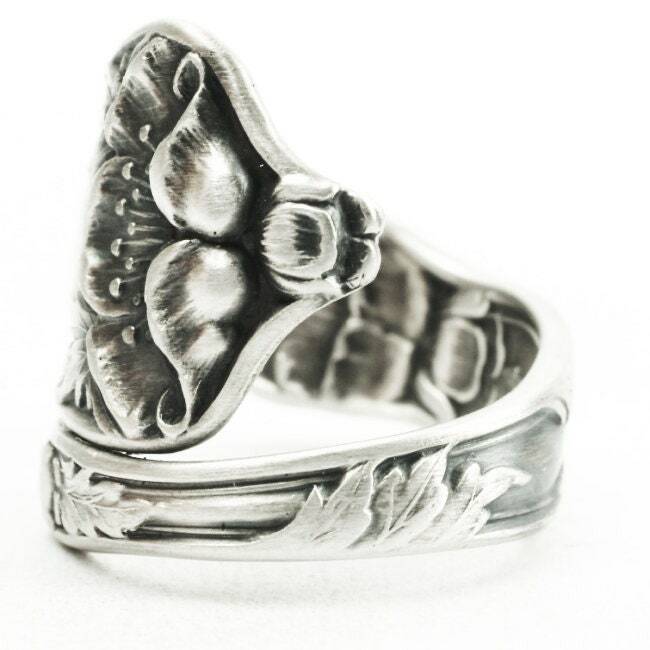 Dainty Sterling silver vintage Poppy demitasse spoon transformed into a ring with an open end for adjustable sizing! 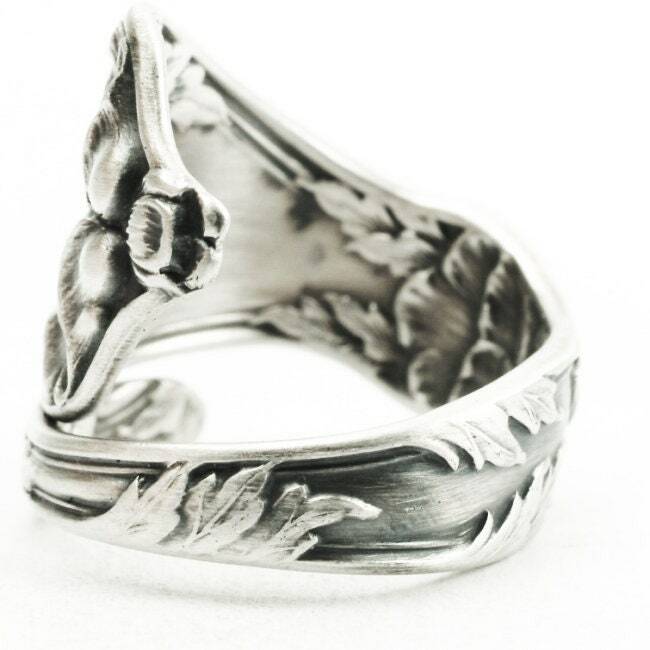 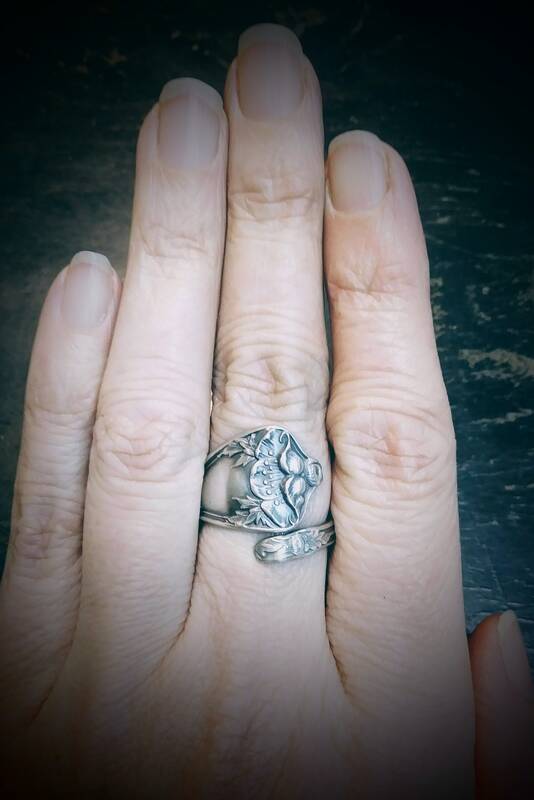 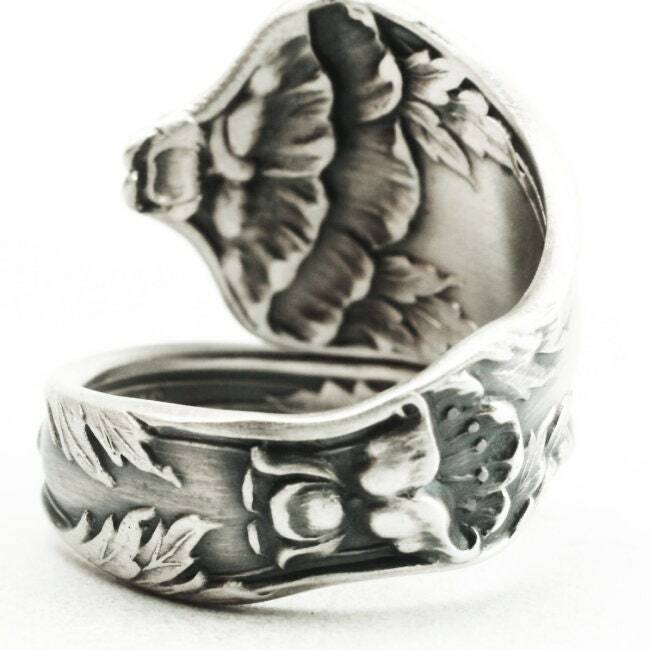 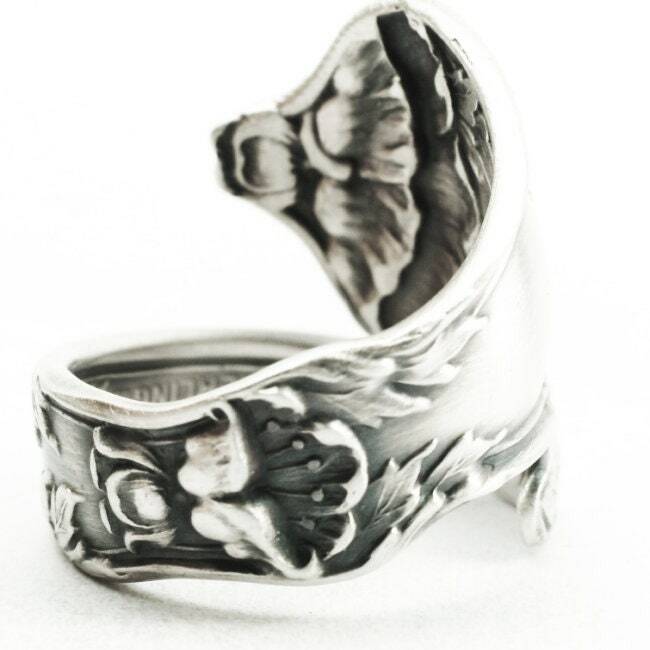 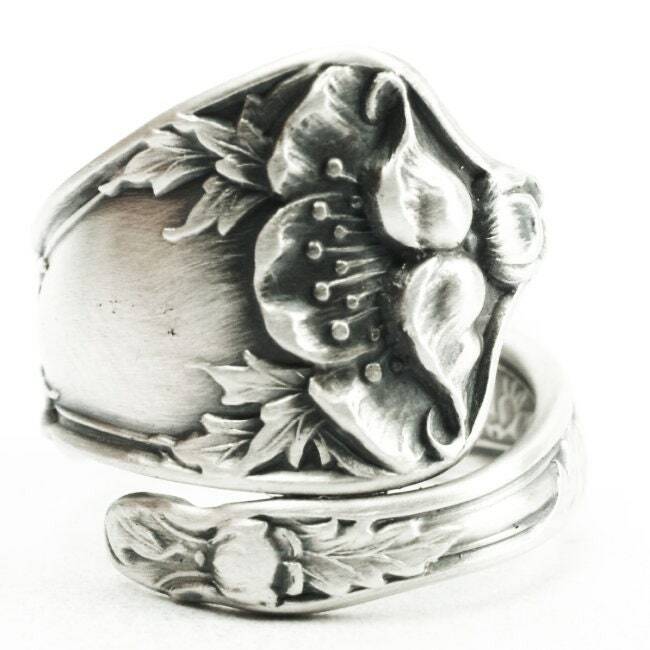 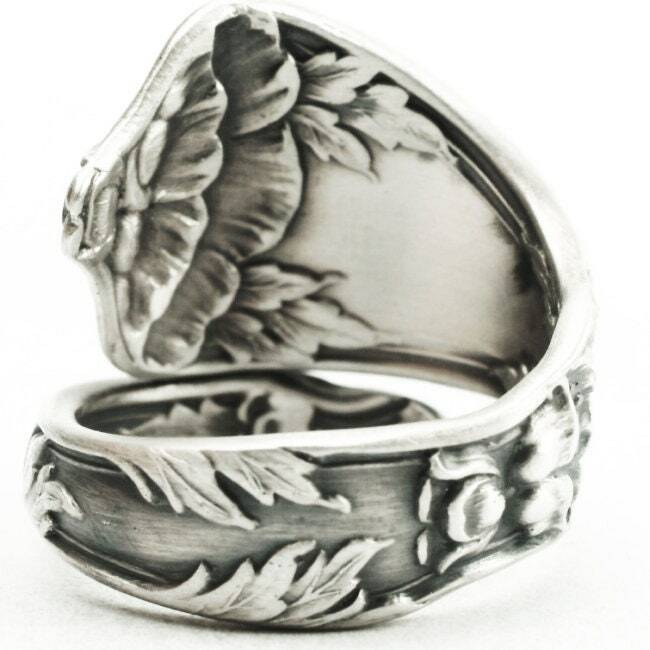 Exclusive Poppy pattern on this antique sterling silver spoon ring! 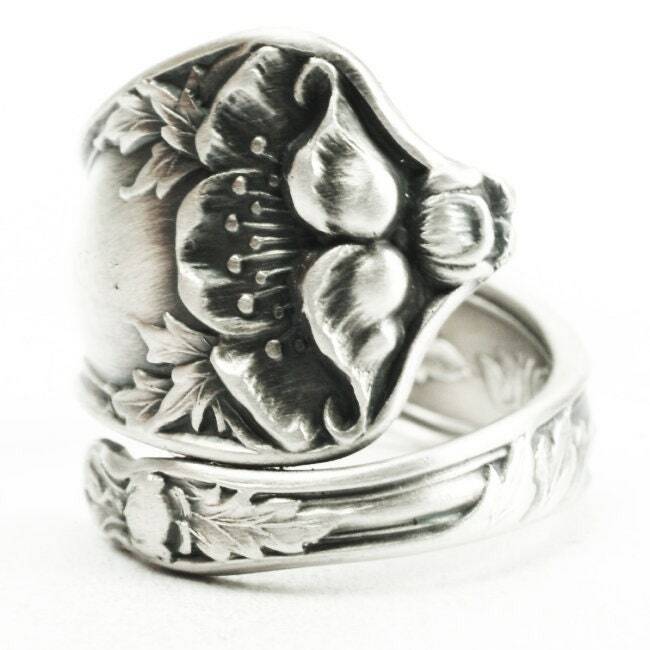 Depicted is a high relief blooming poppy flower in the popular Art Nouveau fashion of the time. 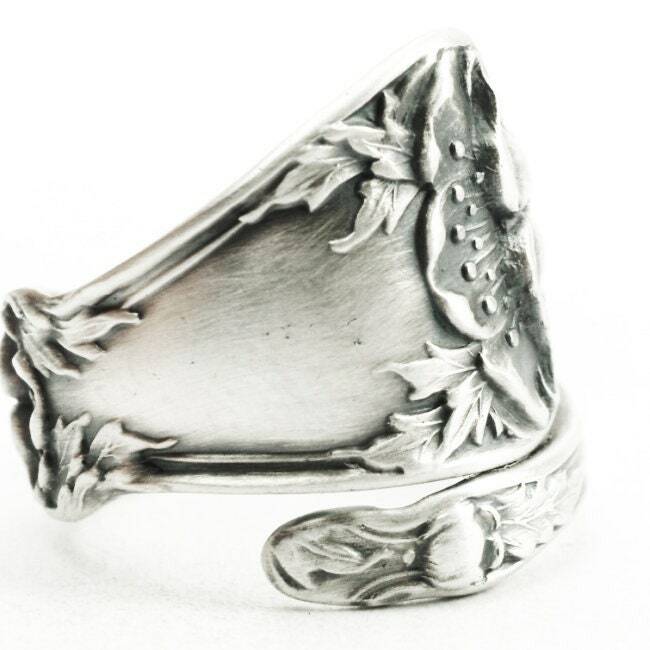 Made by the Manchester Co, this spoon was made in 1904 named, Poppy" in the Rhode Island area.